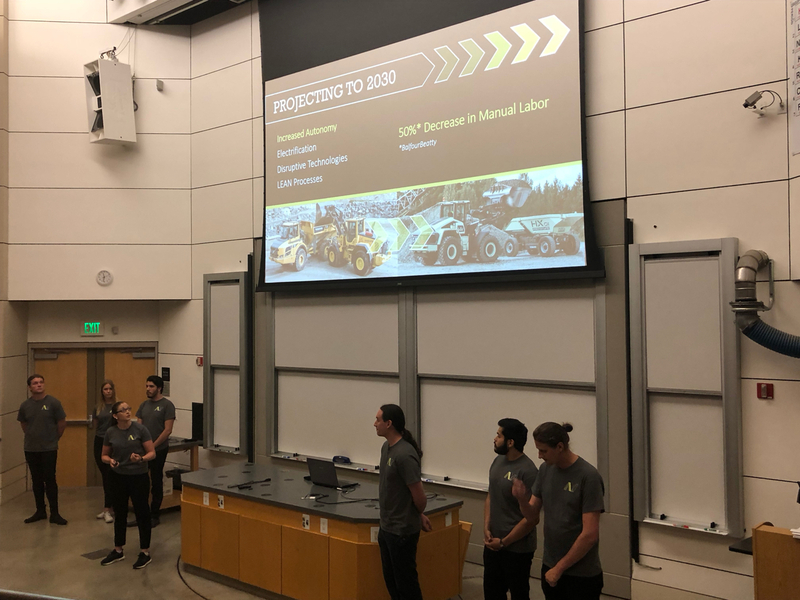 Supporting the construction workers of both current and future construction sites has been the topic of the global product development challenge posed to seven final-year MSc students from BTH and Stanford University. 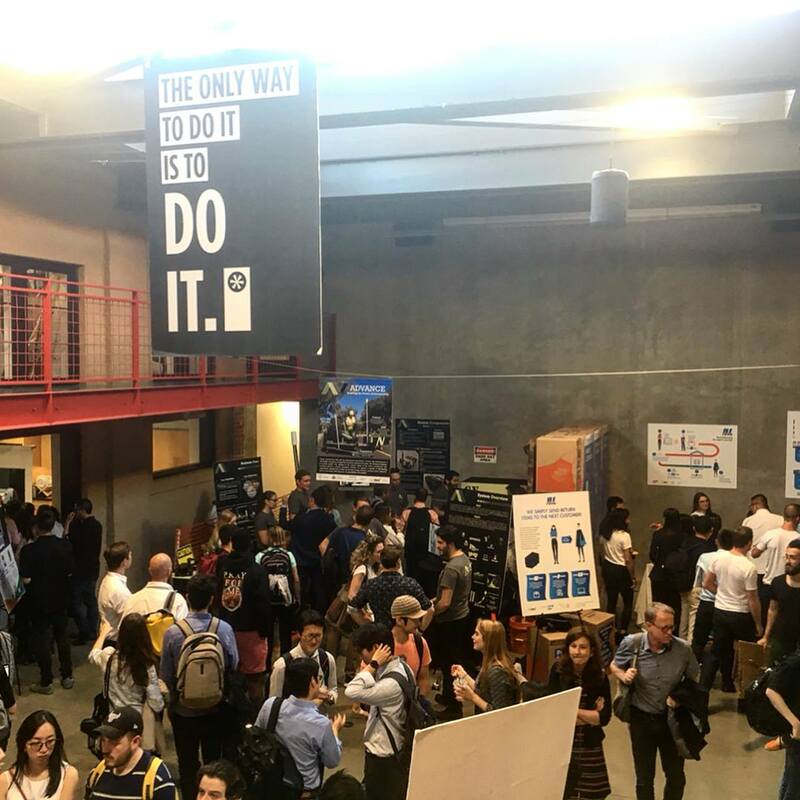 In their capstone project ME310, which runs from November to June, they move in a Design Thinking process through phases of needfinding, ideation, prototyping and more to arrive at a final detail designed product to display at the final exhibition, EXPE, at Stanford University. Demo booth showing good interest in the afternoon session. 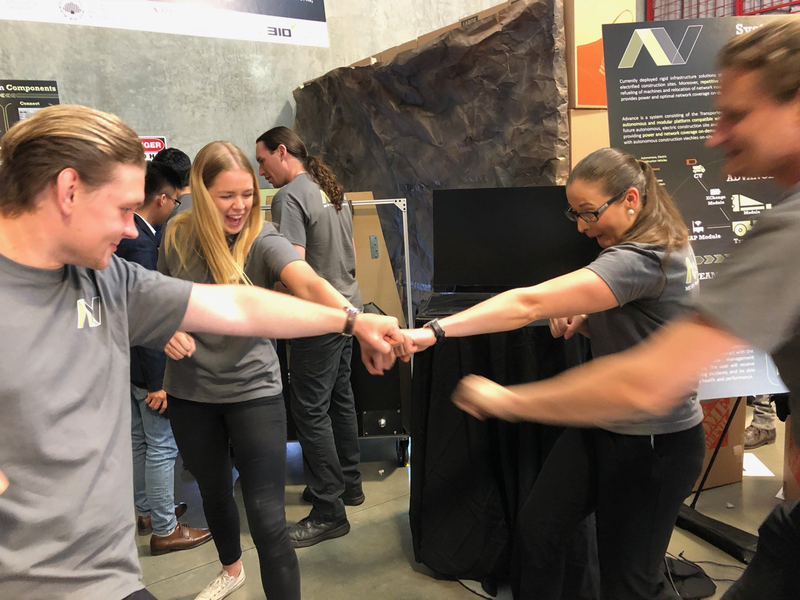 At the yearly exposition, EXPE, at Stanford University, the BTH-/Stanford-collaboration team, together with six other global teams presented their final results to the public for the first time. As with the past five years the team has worked with a challenge from Volvo Construction Equipment. This time the liaisons from Volvo CE challenged the students to go out to as many different construction sites they could come across and look out for what are the “pains” of the construction workers today and also what will be their concerns in the future construction sites when machines will be both electrified and autonomous. The BTH team of Natalia Baraslievska, Jennie Karlsson, Simon Knutsson, and Daniel Larmark, having worked with their American colleagues (Elliot Helms, Chris Perez, and Salvador Perez) using distance-spanning technology through the better part of the academic year, travelled to Stanford a few weeks before the final event to completed the final system prototype. Team including coaches and liaisons; (top row, left to right) Christian Johansson, Martin Frank, Daniel Larmark, Christopher Perez, Elliot Helms, Natalia Baraslievska, Simon Knutsson, Ryan Ruvald, Tobias Larsson; (front row) Jennie Karlsson, Salvador Perez. Much effort was spent on both making sure that the builds were up to good standards, as well as making sure that the message and story is told to the users in as compelling manner as possible. 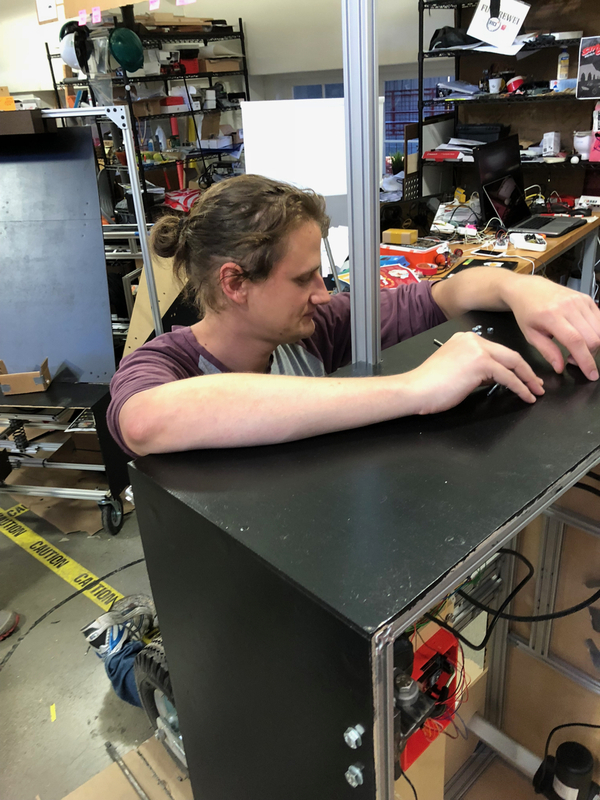 Building the physical prototype is important to demonstrate that it can be done, and equally important is to make sure that it comes across communicatively in the business case perspective surrounding the physical hardware – thus ensuring that there is a demand for the delivered solution. Hard work and intense discussions leading up to EXPE. Then, as D-day arrived, Natalia and Elliot took the stage to deliver the team’s pitch presentation. 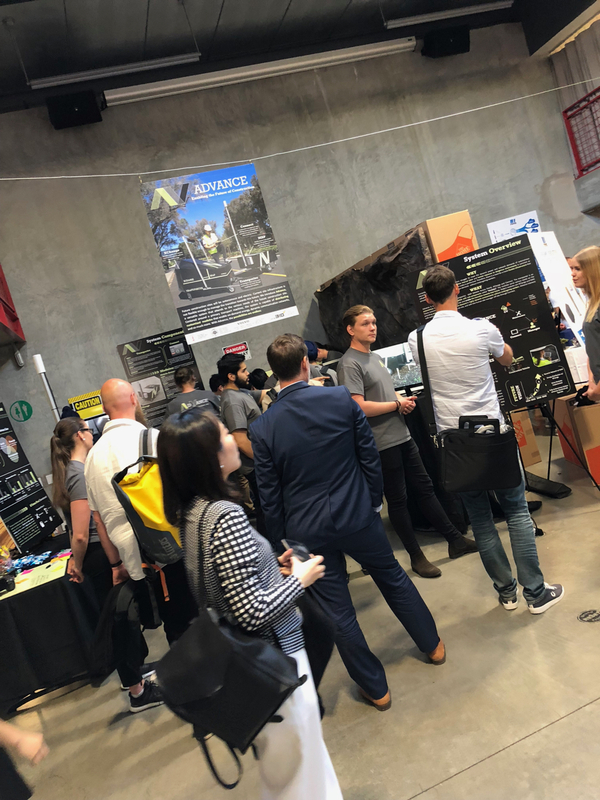 In 12 minutes, they clearly and convincingly presented their solutions and why this is a needed support for the construction sites of the future. With this, they got some interesting questions that were answered in good detail. After the morning’s pitch presentation, the afternoon followed where all teams had created booths in the d.school to display prototypes and engage with onlookers to explain and discuss the builds and potential for future development and exploitation towards maturing product technologies. Jennie talking about the project result with visitors to the booth. 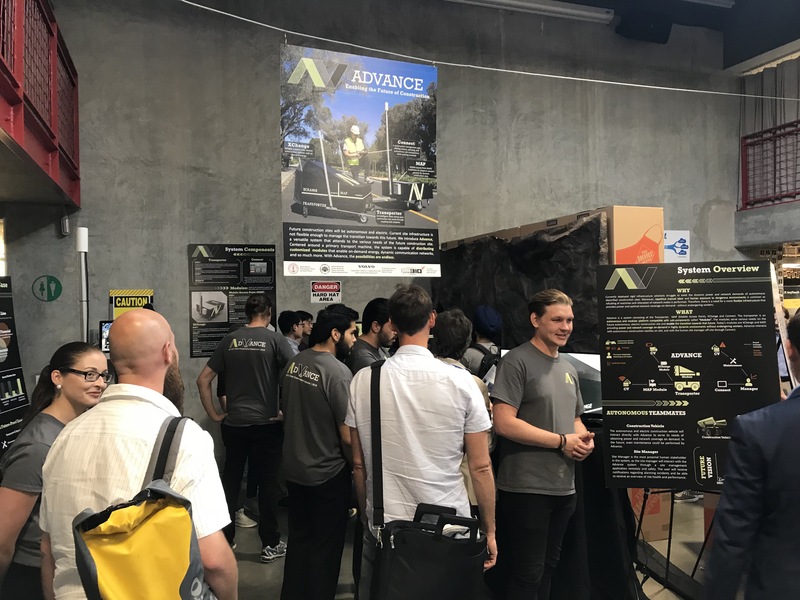 Advance is a Product-Service System concept that aims to be the mortar between all the other actors on the construction site. With the advent of autonomous and electrified construction machines, such as the new Hauler concept HX02, there is a need to support both with readily available power and connection infrastructure on the construction site. 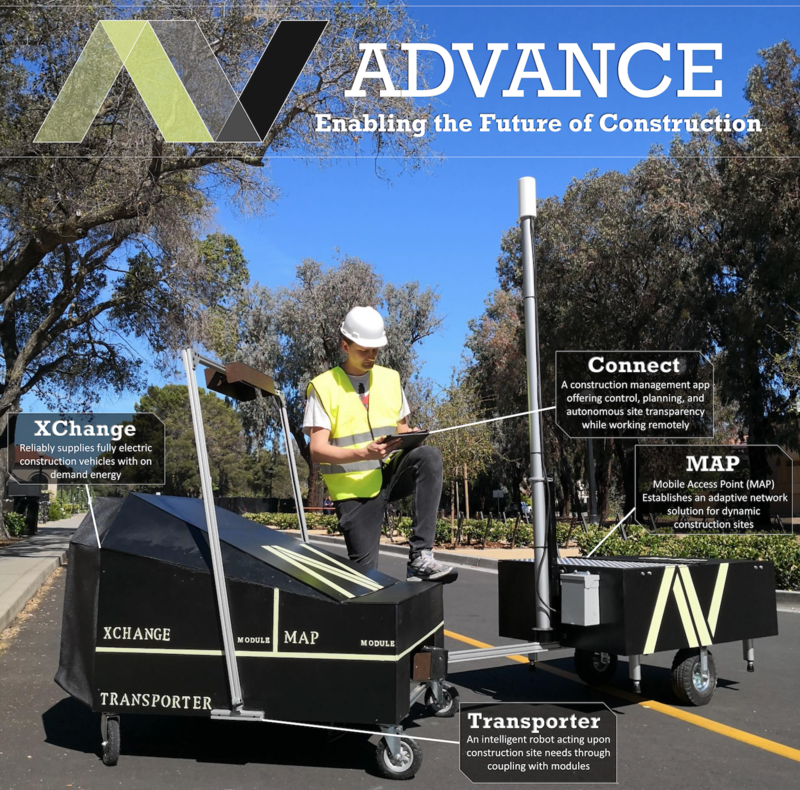 The components of Advance includes a Transporter, a XChange battery swapping module and a Mobile Access Point communications module, as well as a Connect user interface for the operators to follow and sometimes interact with the system, should they see the need for that. 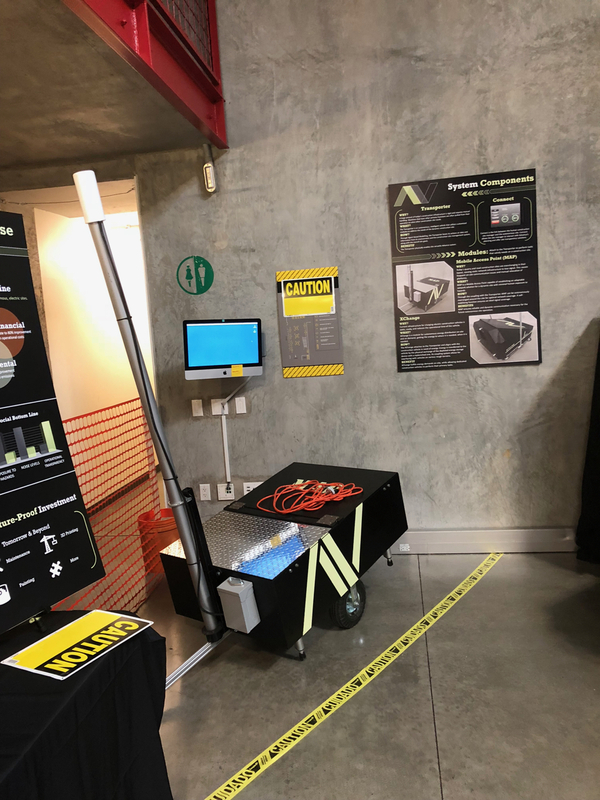 The XChange battery exchange module will interact with construction vehicles on site and exchange their batteries as needed in short intervals of their operation. 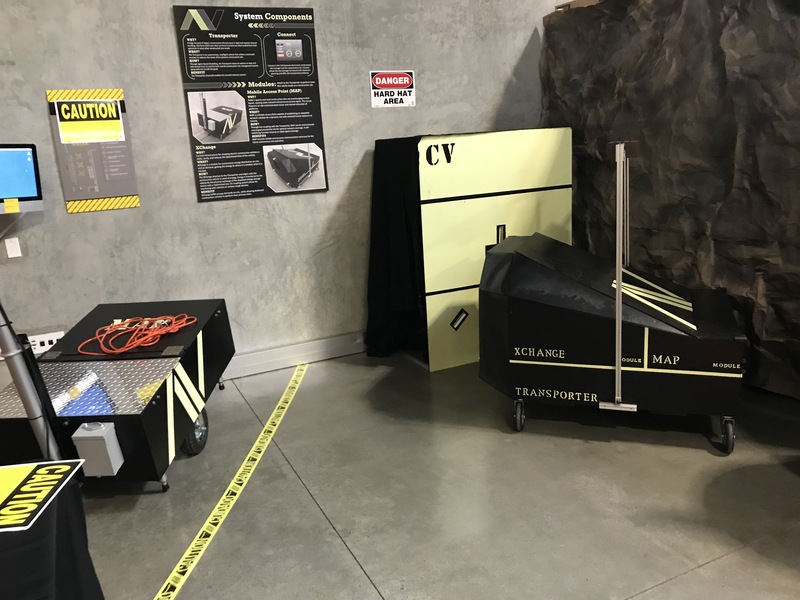 The Transporter will then return the depleted battery to a charging station and return with a freshly charged battery for XChange to swap out in the next machine. The Mobile Access Point (MAP) communications module will be deployed on the construction site as is needed to provide the necessary communications infrastructure for the autonomous machines. Because a construction site is a highly dynamic environment, that sees continuous change with obstacles popping up and machines moving around, it is difficult to provide 100% coverage with only static networking infrastructure. 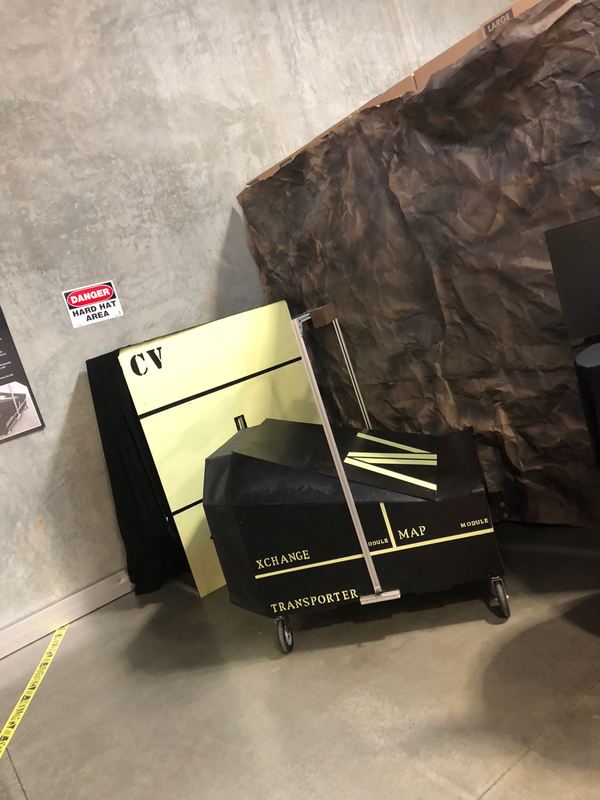 With the MAP-module, together with the Transporter, the contractor can provide a mobile infrastructure and move around the communications module when needed to maintain operation. 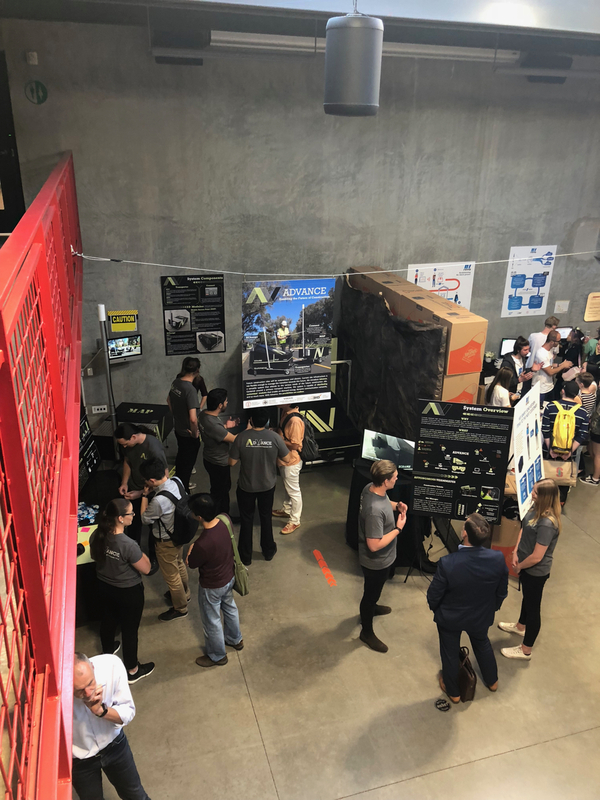 Beyond these two prototype modules, the students also foresee that Advance and the site manager will enable other solutions and capabilities at the construction site, such as 3D-printing of structures, painting, providing maintenance to machines, and more. The Product Service System, also consisting of solutions for managing the interaction of the hardware sub-systems with logics and the Connect user interface for the operator on site, ties together the pieces and manages how they work together to support the main machines on the site. 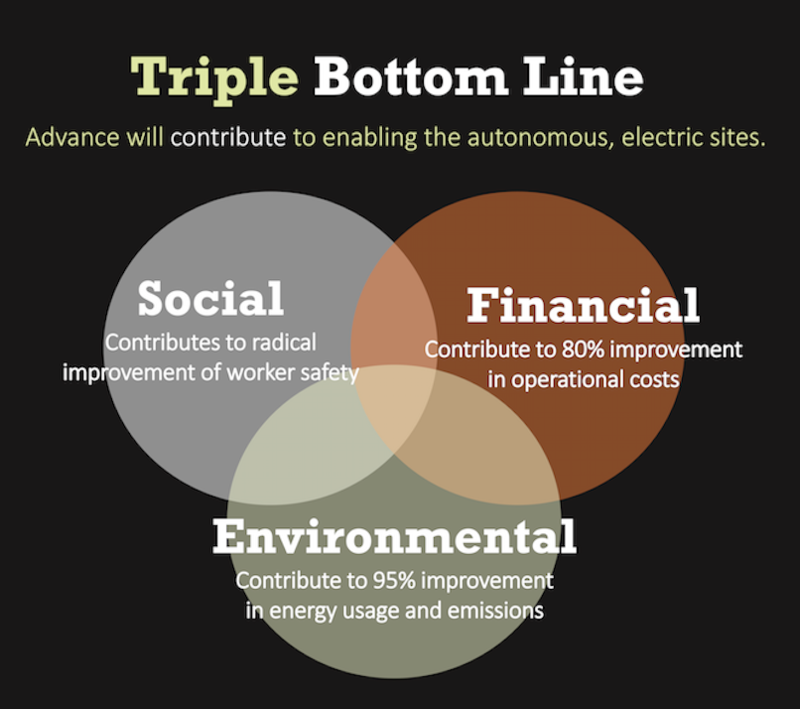 The students also finally analyzed the impact of implementing Advance on a construction site from a triple-bottom line perspective, bringing arguments for how the solution will have positive impact towards the economic bottom line, the environmental footprint of operating a future construction site, as well as the social bottom line of the workers on the site. “With this event the project lasting for nine very interesting, demanding and insightful months is coming to a successful end. We saw an outstanding team-performance, especially during the 24/7 work weeks just before the EXPE. 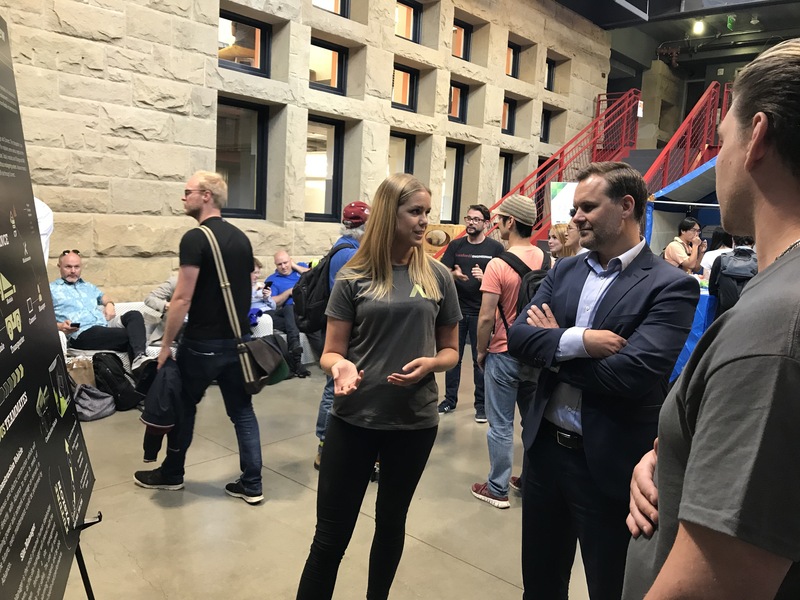 We as Volvo learn with and trough the student team and in the end we don’t get just a product, we also get a service proposal how such a product could be expanded and sold“, says Martin Frank, liaison from Volvo Construction Equipment. 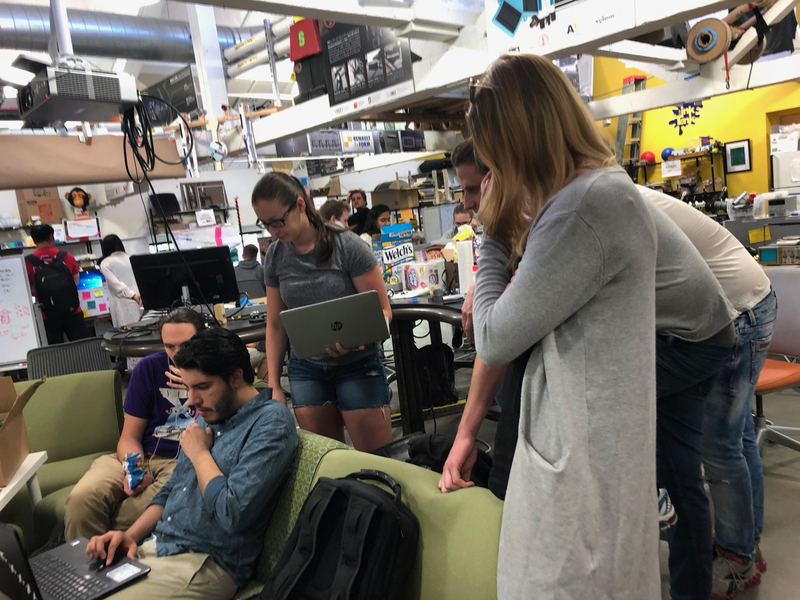 “This year’s team was marked by their ability to collaborate and share knowledge across distance. 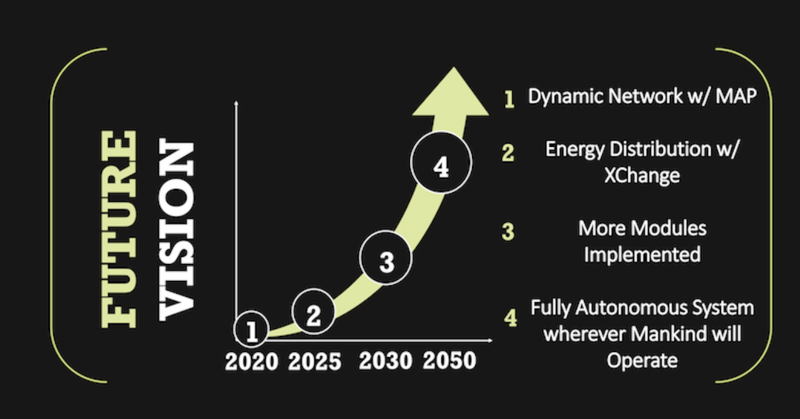 Through extensive needfinding and foresighting they extrapolated a clear picture of future construction site teams centred around autonomous machines as the core “user”. One thing is for certain, the future will be autonomous and electric, and the prototype developed by the team is a step towards enabling this future“, says Ryan Ruvald, culture coach from the BTH side.